Kids’ Waiting Room Furniture is a category of office furniture that requires high standards of quality and design. Kids’ benches need to be sturdy, able to hold up under a number of rigorous demands. There will be kids jumping, climbing, and bouncing on benches so they need to be attractive and comfortable seating for kid-sized bodies with durable upholstery and frames. Kids waiting room furniture needs to be easy to clean because there will be a higher possibility of spills and grime. The options available in kids’ benches for your lobby or waiting room furniture allow you to blend appropriately child-sized furniture with the current decor of your establishment or a planned renovation. Giving this seating option to a client's family will allow them to spend a more enjoyable time waiting for services and creates a welcoming atmosphere for children. The result of appropriate waiting room furniture is a better experience for clients and improves your business. 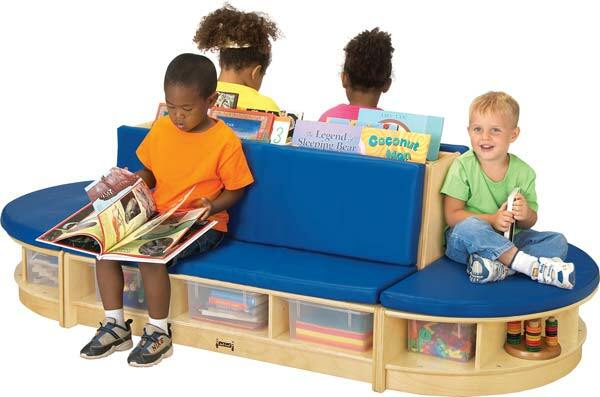 Contact us to learn more about our selection of kids reception benches or to place your order today with free shipping.